Upgrades voice search and adds "Chrome to Phone"
Google has added a selection of new features including "voice actions" for Android 2.2 mobile phones. The major new addition is an upgrade of the Google Voice Search function with a raft of new "voice actions" added. The new commands are activated by simply speaking instructions such as "map of petrol stations" or go to web sites and even make calls and send text messages all hands free. There’s also the ability to play songs by naming them, leaving notes to self, navigate to an address or business and this is in addition to the existing Google web search which also works via voice. Additionally Android allows connecting third party applications to the Google search function which in turn enables voice input capability to applications such as dictionaries and translators. 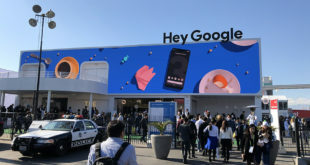 Google also launched Chrome to Phone which is a combination of an application installed on an Android handset and an extension installed on the Chrome web browser on desktop computer. The application then allows sending of links directly to the phone to open in a web browser. Chrome to Phone also opens Google Maps on Android handsets directly when sending a Google Maps link and similarly it launches the YouTube player directly, making it easy to press a button on Chrome and have a YouTube video appear on the phone. Chrome to Phone also allows the phone to dial numbers based on highlighting them in text from web pages or web mail etc. Google explain the new features in the YouTube videos for Chrome to Phone and the new Voice Actions.